3D Round Edge - No halo effect on the edges, high clarity and ultra-thin screen protector. Border Adhesive - It sticks on screen stronger than other screen protectors, high transparency,0.33mm super thin with border adhesive, bubble free. Case Friendly - Edge to edge protection, it leaves an open space for proper installation and case compatibility. It looks perfect and compatible with the case. Anti-fingerprint & Anti-oil - Protect screen from daily scratches, eyes comfortable and smooth, 3D surface tempered film. Topped with oleophobic coating to reduce fingerprints. Bye, bye Bubble, Tempered Glass Screen Protectors for your Galaxy Note 9. Original Touch Sesitivity - It provides high sensitivity touch feeling when you playing games. Comes with a cleaning kit, please install it in no dust environment. 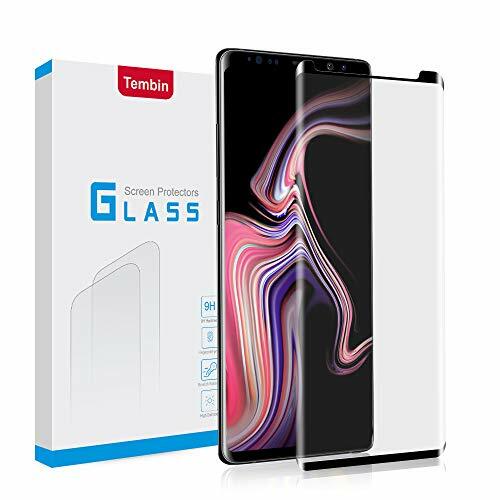 Any questions about Tembin glass screen protector, please do not hesitate to contact Tembin Customer Service for assistance.